I really don't like it when I google on error messages and get zero hits. The only Ultron I know dates to my childhood, it's not a very friendly name for a directory. Update 8/4/09: A virus, after all. 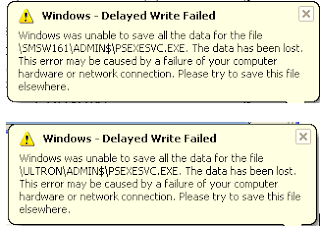 Some variant of Win32/ilomo.bc – but one that seems to spread over a network rather than as a trojan.